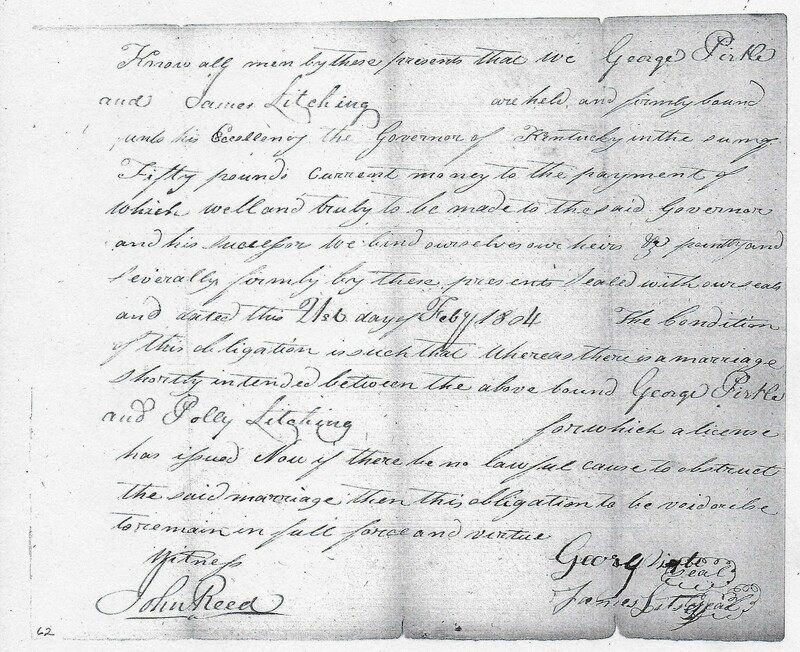 Know all men by these presents that we, George Pirtle and James Litching, are held and firmly bound unto his Excellency, the Governor of Kentucky, in the sum of fifty pounds current money, to the payment of which well and truly to be made to the said governor and his successors. We bind ourselves, our heirs, jointly and severally, firmly by these presents, sealed with our seals and dated this 21st day of February 1804. The condition of this obligation is such that whereas there is a marriage shortly intended between the above bound George Pirtle and Polly Litching for which a license has issued. Now if there be no lawful cause to obstruct the said marriage, then this obligation to be void or else to remain in full force and virtue. These are to certify that I give my full consent to a marriage shortly intended between George Pirtle and my daughter Polley and that license issue accordingly. 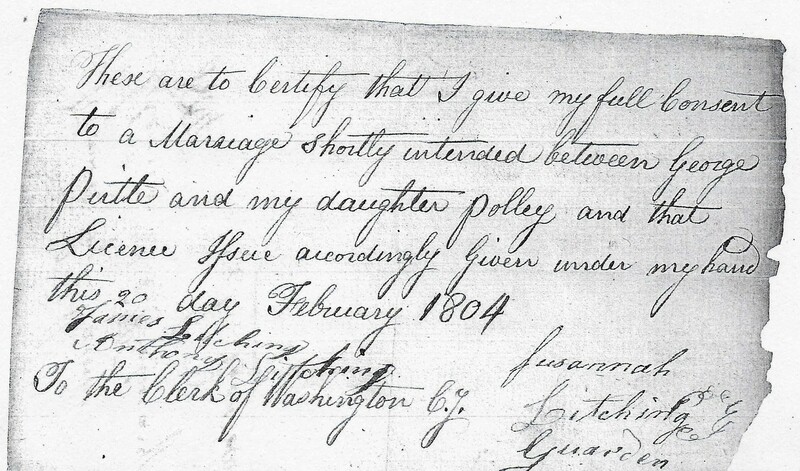 Given under my hand this 20 day February 1804. Polly Linsey was my 4th great aunt.